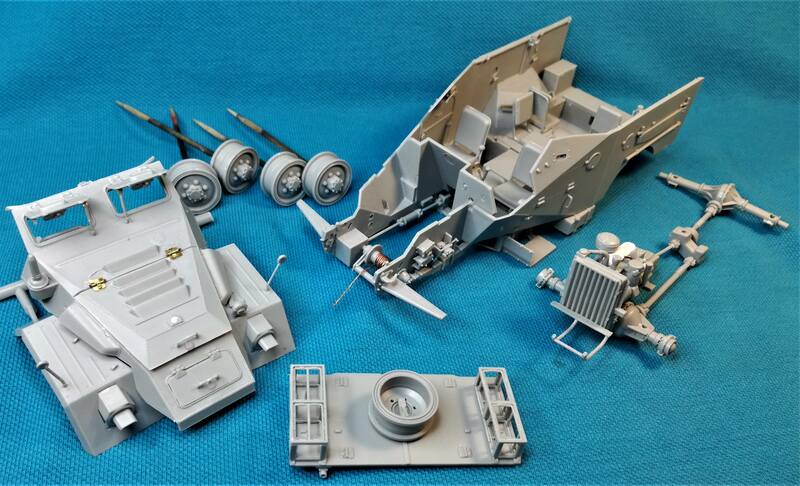 BTR-40 is nearing end of construction phase. Some tiny PE brackets need to be added. Also intend to add a scratchbuilt radio and a home-made tent. The engine wall needs detailing-it will be visible thanks to working hinges- so I'll check the TM. Wow lightning fast build Angel. Looking superb as your work usually is. OK, finally under way. Italeri 1/72 M-8 Grayhound. I'm thinking of doing the 3rd Army January 1945 version in white wash. 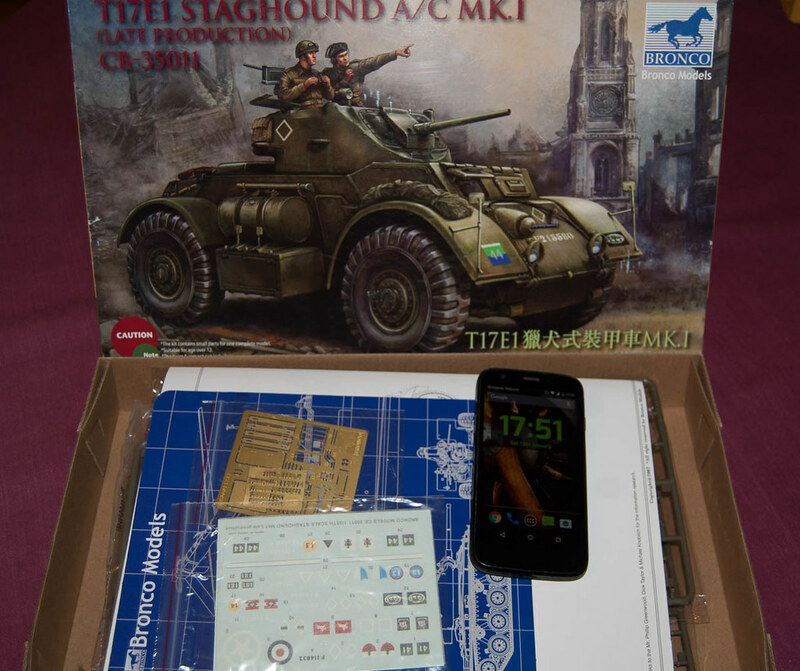 The kit comes with a simplified build for wargaming and a manual for some campaign scenarios. Progress! got the interior painted and installed and the basic hull assembled. 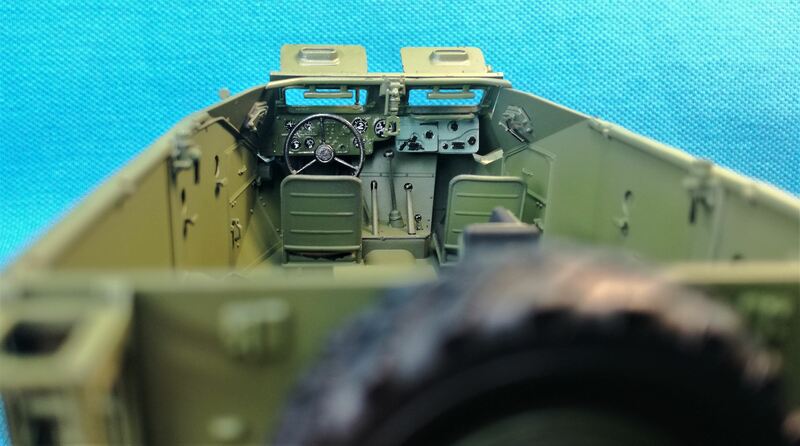 Yes, unless I commit major surgery, the entire driver's compartment is hidden when the shell goes on. There will be a little bit of the crew compartment visible through the turret..
Yep, once it buttoned up, I'm going to be the only one that knows what's in there. over lighted to see into the dark compartment. With the top cover in place. with the hatches closed the driver's seat is gone forever. With the turret in place there's very little to be seen inside. What about big, bad, heavy, fast and deadly Rooikat? ...and Mark, that is the macro view we get, not the real life braille scale. Looks good anyhow. Cool choice, Damian. Looking forward to see that kit getting build. Time for me to join the build. Relatively easy and straightforward build so far; the kit has only a few circles as interior detail. (Oh! Ejector pin marks you said? OK!). The fit is excellent. I'm thinking already to painting. Maybe I'm going to let the louvers half-open. Does anybody knows if the inside should be red primer or interior white? and after some exchange and research, i found that the israeli staghound don't have fuel drums. Nice to see you started Gabriel. Will the absence of the engine be noticeable with the vents open? Sorry but I have no idea what the colour of the engine bay was but the cabin interior was likely white. The Staghound is also off to a good start Franck. Thanks, Peter. The louvers are positionable and I can let them only slightly open - just for some extra visual effect; the engine bay won't be visible, but the inside side of the louvers will be. I think I'm going for red primer eventually. Frank, you're having a good start. Nice! Assembly view with the current state of affairs. I still have a few external detail parts to add on and some PE as well, which I'm gonna save for last because I'm very gifted in knocking them down. Now it's time for weathering. Now that's fast, Angel ! 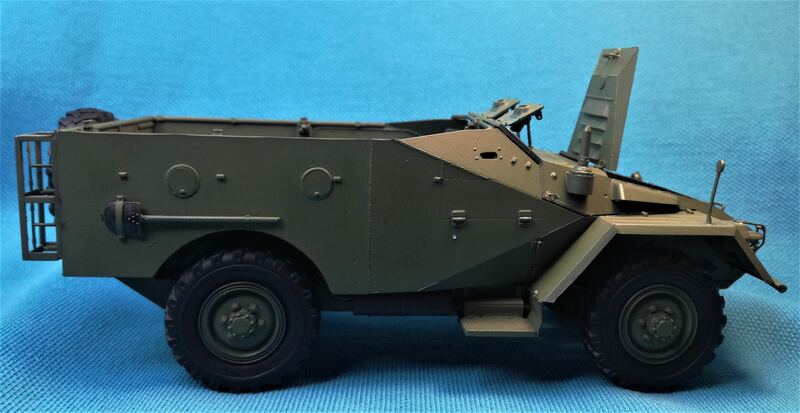 Your Steyr is also shaping up nicely.I have soft spot for Steyr vehicles-they were widely used in my country's armed forces in the 1930-1940's(Steyr 440/640). 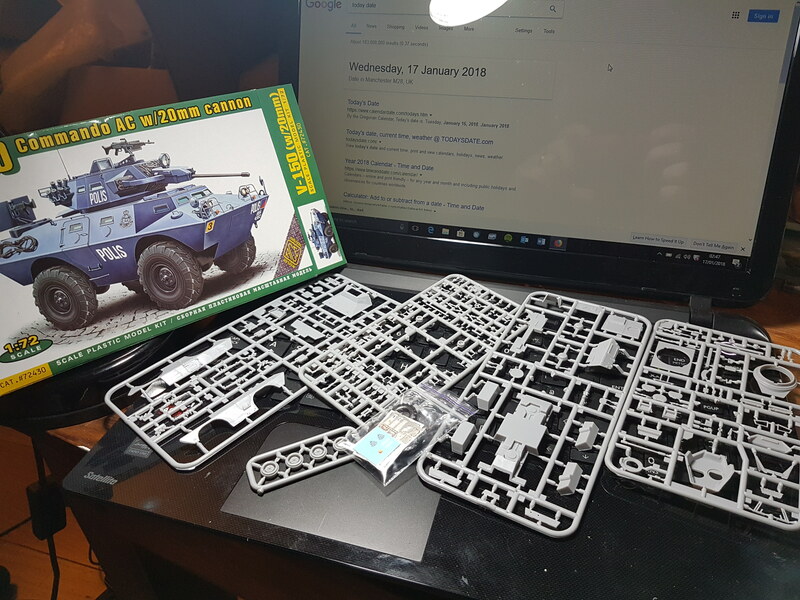 Looking forward to see how your build progresses! Sure is a large chunk of Plastic there Gabriel. Did some research on the paint colours, but couldn't find anything definitive. 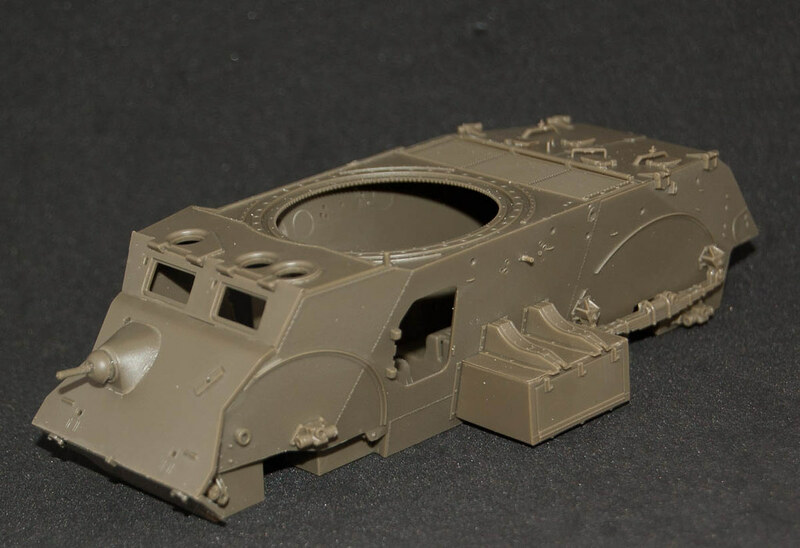 Being early war production, I would go with Grey on both sides of the louvres myself. 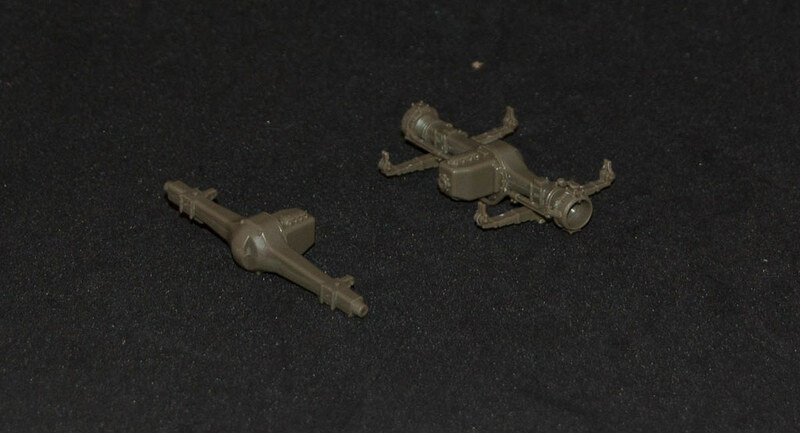 Likely painted before assembly on the vehicle, so probably both sides done the same. 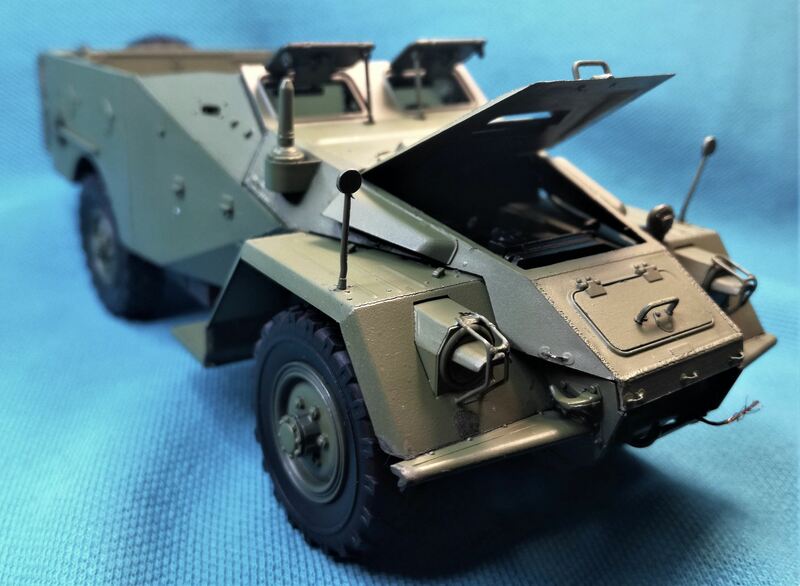 Here is my entry, Tamiya's Sd.Kfz. 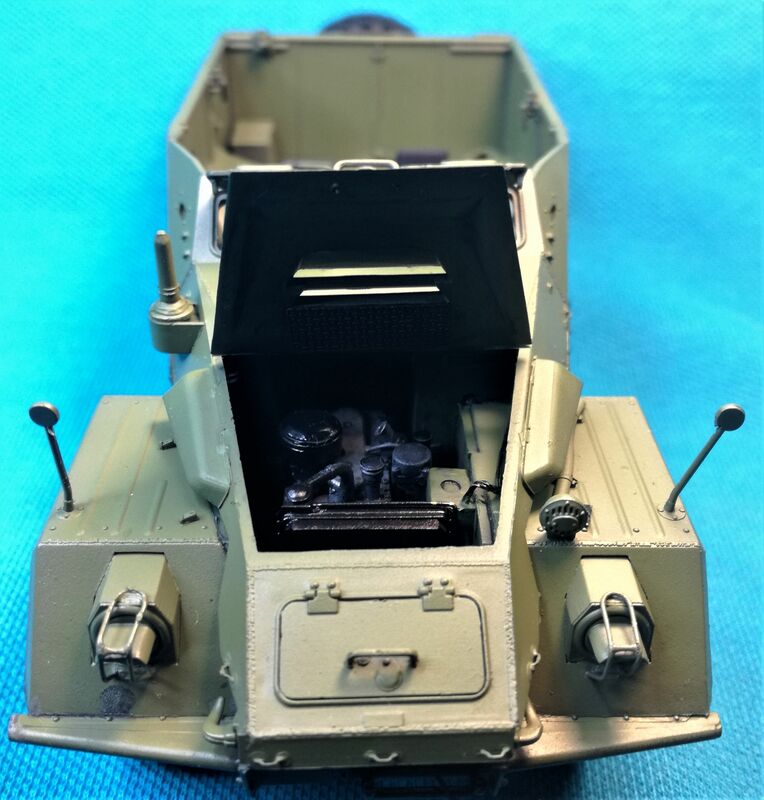 222 Leichter Panzerspähwagen (4x4) #35270. This kit is originally from 1975, but was updated in 2003 with a metal barrel and an extra sprue of fuel drums and fuel cans. Perfect model. Congratulations. It is a real pleasure to work with him. I will follow his progress. Folks sure are flying through the builds here, looking great! A good variety of armored wheelie things! It is building up fast, except for some flash clean up. I like is so far and will be done construction probably tomorrow.